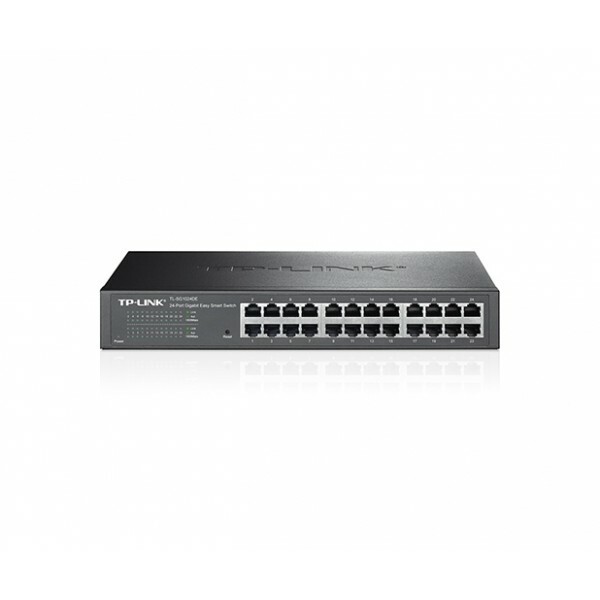 The TL-SG1024DE 24-Port Gigabit Easy Smart switch is an ideal upgrade from an unmanaged switch, designed for Small and Medium Business networks that require simple network management. Network administrators can effectively monitor traffic via Port Mirroring, Loop Prevention and Cable Diagnostics features. 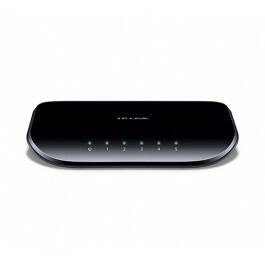 To optimize traffic on your business network, TL-SG1024DE offers Port-based/802.1p/DSCP QoS1 to keep latency-sensitive traffic moving smoothly and jitter-free. Additionally, port-based, tag-based and MTU VLAN can improve security and meet more network segmentation requirements. Moreover, with its innovative energy-efficient technology, the TL-SG1024DE can save up to 18% of power consumption, making it an eco-friendly solution for your business network. 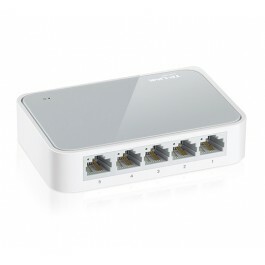 TP-LINK’s Gigabit Easy Smart switch, TL-SG1024DE offers network monitoring for users to observe traffic behavior. 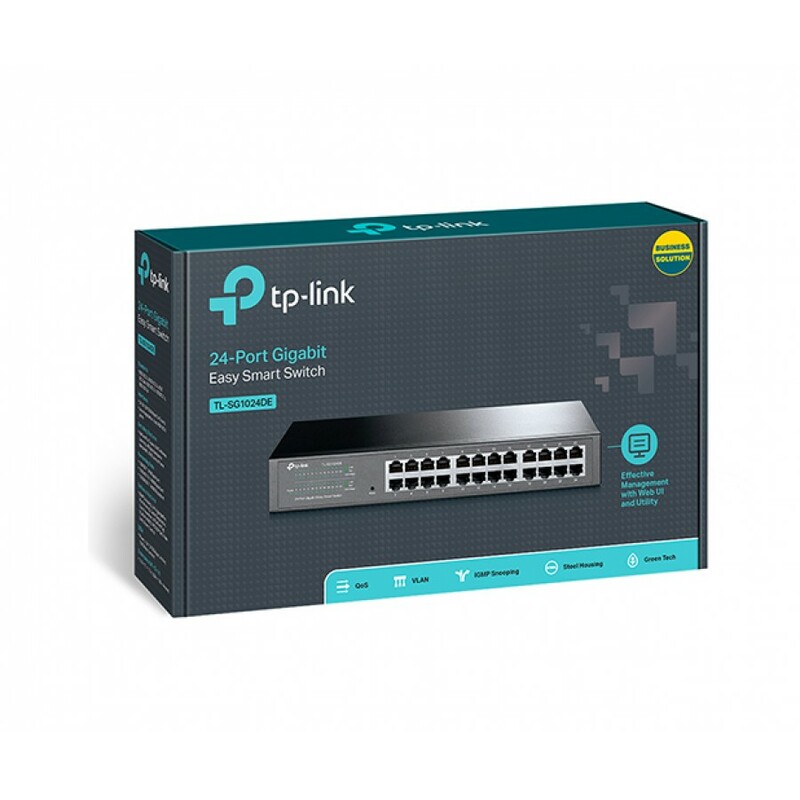 With Port Mirroring, Loop Prevention and Cable Diagnostics features, TL-SG1024DE can identify and even locate connection problems on your business network. 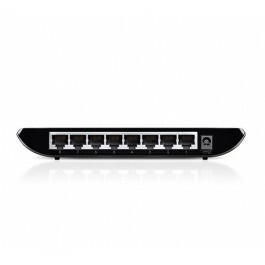 Moreover, administrators can designate the priority of the traffic based on Port Priority and Port/ 802.1p/ DSCP Priority Priority, to ensure that voice and video are always clear, smooth and lag-free. 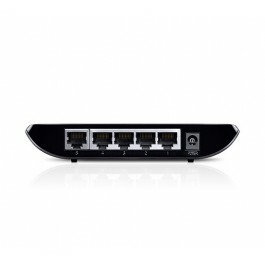 Additionally, to improve security and network performance, TL-SG1024DE supports MTU VLAN, port-based VLAN and 802.1Q-based VLAN functions. TL-SG1024DE is an upgrade from the plug-and-play Unmanaged Switch, delivering great value while empowering your network and similarly delivering great value to the end user. 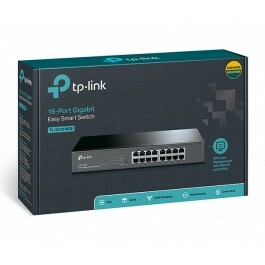 You now have the choice to go green when upgrading to a gigabit network! This new generation of TL-SG1024DE 24-Port Gigabit Easy Smart Switch features the latest energy-efficient technologies that can greatly expand your network’s capacity with much less power. It automatically adjusts power consumption according to the link status and cable length to limit the carbon footprint of your network. 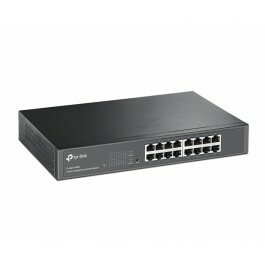 When a computer or network equipment is off, the corresponding port of a traditional switch will continue to consume considerable amounts of power. The TL-SG1024DE can automatically detect the link status of each port and reduce the power consumption of ports that are idle. Ideally, shorter cables would use less power with less power degradation over their length; this is not the case with most devices as they will use the same amount of power across the cable regardless of whether it is 10 or 50 meters in length. The TL-SG1024DE analyzes the length of the Ethernet cable connected and adjusts the power usage accordingly, rather than keeping the power consumption in a conventional solution. 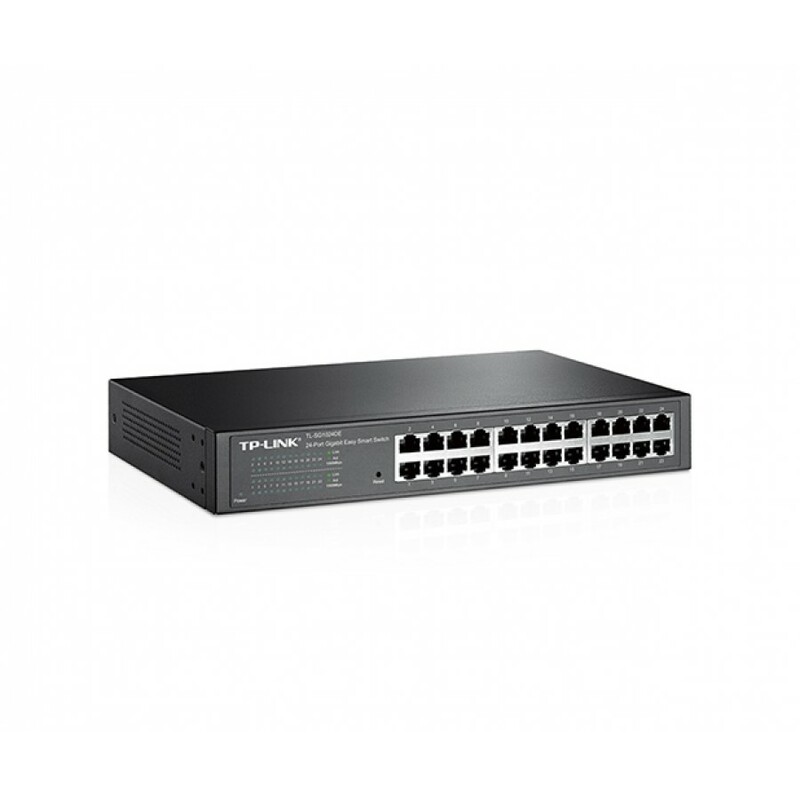 TL-SG1024DE is easy to use and manage. Auto MDI/MDI-X crossover on all ports eliminates the need for crossover cables or uplink ports. 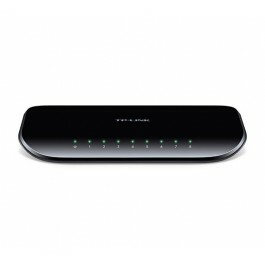 Auto-negotiation on each port senses the link speed of a network device (either 10, 100, or 1000 Mbps) and intelligently adjusts for compatibility and optimal performance. Its compact size makes it ideal for desktops with limited space while also being rack-mountable, convenient and safe. Dynamic LED lights provide real-time work status display and basic fault diagnosis.